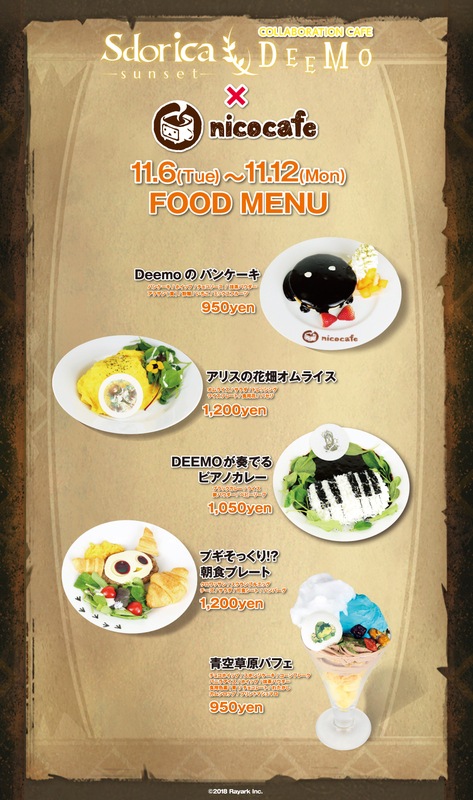 This collaboration with both Sdorica -Sundset- & Deemo will be held for a limited time with nicocafe from November 6 - 12, 2018 in Ikebukuro Japan. Reservations do not appear to be mandatory but you may make one online via tablecheck here. 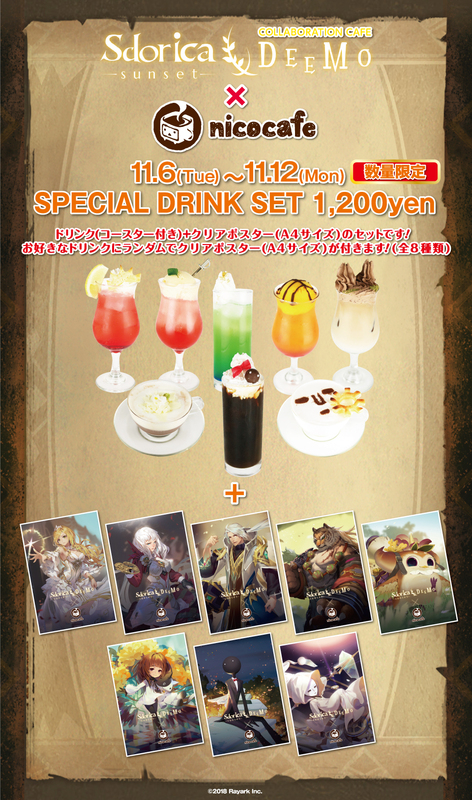 Special Drink Set: Includes Drink, Coaster (1 of 8 designs), and A4 Size Poster (1 of 8 designs). Customers who order a collaboration food or drink item will receive an original coaster per order. 1 out of 8 possible designs will be handed out at random while supplies last.